As our communities look to improve our economic well being and leverage opportunities you can be confident in our ability to lead our donors and affiliates through the process of leadership, development, and cause-based philanthropy. It’s this dedication to leadership and philanthropy that afforded us the great honor of also being recognized as the 2015 “Partner in Business” by the Venango Area Chamber of Commerce. Our strategic goal is to always serve the donor and ensure that their philanthropic needs are being met. We focus specifically on their needs and intentions. We facilitate the giving process so it’s seamless and direct. We provide the on-going support to manage expectations and provide guidance as to how best to give and when. Our growth is because of our donors and we will always be grateful for the opportunity to bring together good people with good causes. Trenton Moulin has been with Bridge Builders Community Foundations since 2010 as executive director. With 10 years of nonprofit administration experience, Trenton is dedicated to helping organizations and individuals reach their full potential. Trenton is passionate about the area that he lives in and making our area a better place to live, learn, work and play. Trenton serves on the following boards: Oil Region Library Association Board, Oil City Salvation Advisory Board, the Venango College of Clarion University Advisory Board, UPMC Corporation Board, and on the Oil City Main Street Programs Steering Committee. He was also involved in the creation of the Hasson Park Disc Golf Course and the Town Square Park in downtown Oil City. In the past Trenton has volunteered as a Red Cross CPR and First Aid instructor, a Junior Achievement volunteer instructor, a mentor for Restorative Justice Court Diversion Program and a volunteer for the Venango County Fatherhood Initiative’s Soapbox derby. Trenton is currently taking classes for his MBA and received his Bachelor’s Degree from the University of Pittsburgh. Trenton has a keen sense of community, and attributes the community foundations’ sharp increase in giving in recent years to his ability to be visible in the region and foster long-term relationships built on respect, good will, and sound strategic planning. Lauren Lupinacci has been with Bridge Builders Community Foundations since 2014 as the Program Manager. Lauren earned a Bachelor of Science in Business Administration with a major in Accounting in May 2014. Prior to her education at Clarion University, she received an Associate of Science Degree in Accounting from Everest Institute. 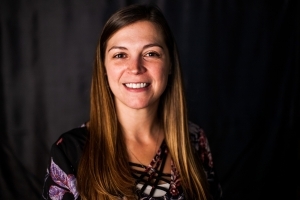 Lauren brings sound fiscal and organizational experience to the community foundation, and works diligently between the foundation and donors to maximize communication and reporting. 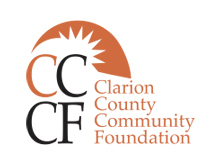 The Bridge Builders Community Foundations’ board of trustees represents a dynamic cross-section of the counties of Clarion, Forest, Jefferson and Venango bringing together community leaders from all backgrounds including business, education, healthcare, recreation, faith-based and nonprofit. 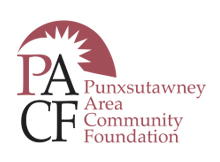 This affiliate was founded in 1975 by local attorneys to meet the growing need to form a community foundation to provide a permanent place for community funds to grow and benefit the community perpetually. 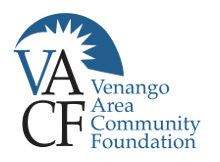 VACF has been the cornerstone of all other foundation affiliates as it was originally designed to serve Clarion, Forest and Venango Counties. 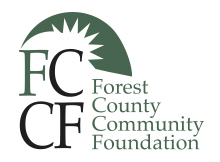 In 2008 each county formed their own foundation, under the umbrella of Bridge Builders Community Foundations.